Many of these offenders were being released still suffering from substance abuse and/or mental health problems, inadequate educational training, a lack of affordable housing or no meaningful job training skills – simply, they were ill-equipped to survive. Dr. Holmes stated that the church was spiritually and morally obligated to offer support “for the least of these” and that we should reclaim the lives of these individuals and their families…our families! In 2015, the Bethel Empowerment Foundation, Inc. (BEF), accepted the challenge and developed a plan to present to the Florida Legislature seeking assistance to address the needs of our community. This plan provided job training, job placement, and other support services to ex-offenders, including mental health and substance abuse treatment, educational training, family reunification and affordable housing assistance. While designing our reentry plan, we were introduced to a nationally-recognized, evidenced-based reentry franchise in Jacksonville, Florida with a similar mission. Operation New Hope, Inc. (ONH) had been applauded by former Presidents George Bush, Bill Clinton, and Barack Obama as a model for providing ex-offenders jobs in the private sector and reducing recidivism significantly below state and federal re-incarceration rates. As a result, Kevin Gay, CEO/Founder of ONH was invited to present the program to the Board of Directors of the Bethel Empowerment Foundation, Inc. and on August 11, 2015, the board voted unanimously to invest in this venture to replicate this national model and bring to the Tallahassee community what is now known as the Bethel Ready4Work-Tallahassee Reentry Program. In January 2016, the Board of Directors moved forward in becoming contractually obligated to replicate ONH’s model. During the 2016 legislative session, the Florida Legislature approved and the Governor supported our efforts to receive state funds to implement the program working in conjunction with the Department of Corrections. In September 2016, the City of Tallahassee demonstrated support by voting unanimously to offer financial assistance. October 2016 was declared “Ready4Work Emphasis Month” at Bethel Missionary Baptist Church in recognition of the 146th Anniversary of the Church and the 30th Anniversary of Pastor Holmes. During that month, the membership made a significant financial commitment in support of the program. 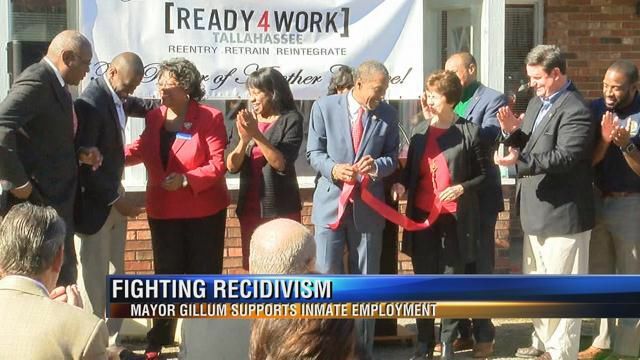 On November 7, 2016, the Bethel Ready4Work-Tallahassee Reentry Program was launched to offer job training, job placement and other support services to ex-offenders released from a Department of Corrections facility within the last three years, are on active probation, and have been convicted of committing a nonviolent, nonsexual-related offense. Persons who have been or will be released into Leon, Gadsden, Jefferson or Wakulla counties are eligible to participate in the program.